So it was that in the decade of an entirely dysfunctional fashion scene (including fingerless gloves) a whisky was distilled, which, I do sincerely hope, is a little more tasteful than the mullet and shoulder pads. So dust off your bright fluorescent track suits and funky leg warmers, here we go! Teaninich distillery was founded in 1817 and it is situated in the Highlands region of Scotland. It is quite rare to have a single malt Teaninich because this whisky is mostly used to fill blends. Admittedly I am a big fan of blended whisky, but what I like about single malts (especially the older ones) is that the precise location of the whisky’s maturation is known. For example, I know that in 1983 this whisky was distilled in Teaninich and sat in a cask after that. With blends, I am unable to trace the story of a whisky and understand its history. Sometimes the independent bottlings can result in pleasant surprises. 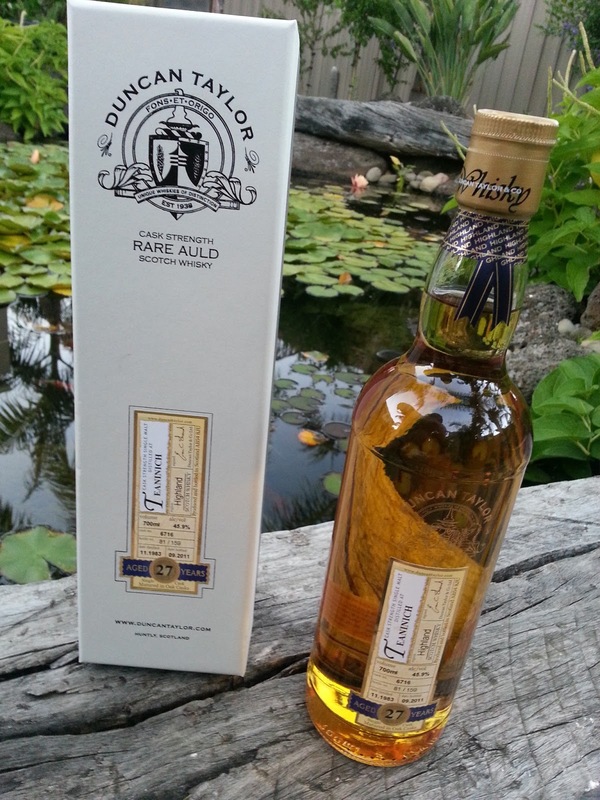 This whisky is very soft on the nose, released marzipan and almond with citrus fruits. Cut grass and fresh rainfall fill my nostrils, as hints of bitter oak add a depth that competes with quite a few layers. It is sharp on the nostrils. The age of this whisky is certainly noticeable, but is does have a sharpness that cuts the palate with spice and oak and slices through the smoke of citrus zest that sits in the background. This is one of those lovely whiskies that has drawn a tad too much spice and bitterness from the oak, and it shows on the finish. Almost as though it will never end, the finish on this whisky dances on the tongue violently but like a storm in the sea it calms to gentle waters. This is by no means a whisky for a beginner or a person who enjoys subtlety and softness; this whisky is a harsh taskmaster. I am not sure what to make of this whisky. It delivers a powerful burst that will warm up anyone, but at the same time that burst cuts the palate with a bitterness that detracts from the experience. It does have a nice solid body and kick, which I enjoy. 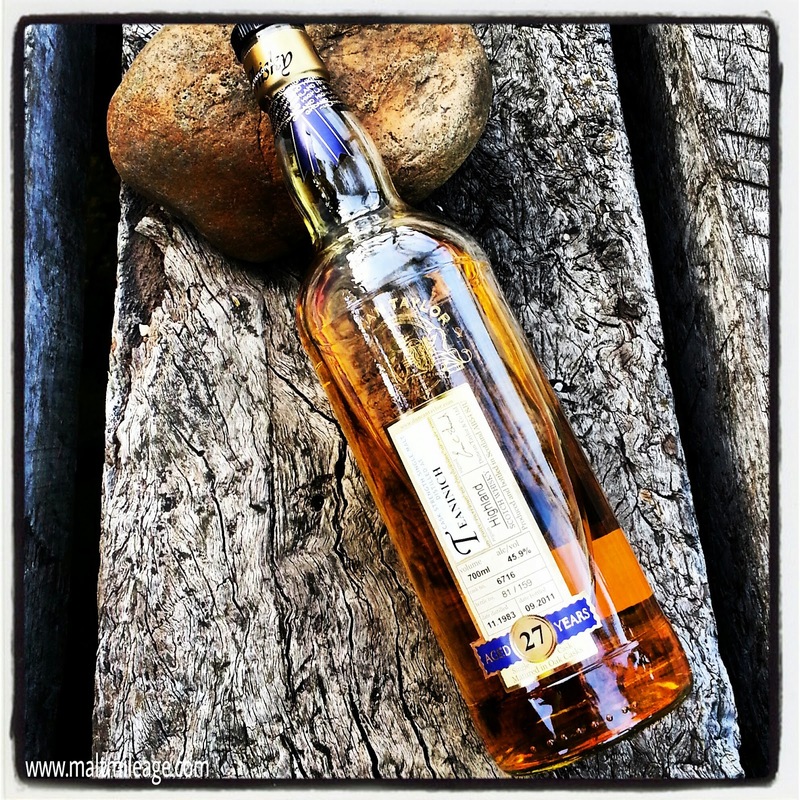 In my post on Johnnie Walker Blue Label I touched on the idea of “rarity”, and reflecting in the fact that single malt Teaninich is quite rare I am fortunate to have had the opportunity to taste this dram. It is no Blue Label, but it does offer some sharp punch! With each sip the power of this dram becomes more palatable. It fills the mouth and nose with citrus and orange peel, and a radiating heat. No burn, which is good! I think this whisky is perfect for cold nights… all you need to do is figure out if you should reach for this or your collected of peaty whiskies. This whisky is enjoyable, old, powerful and rare. I like that.